Qustion. 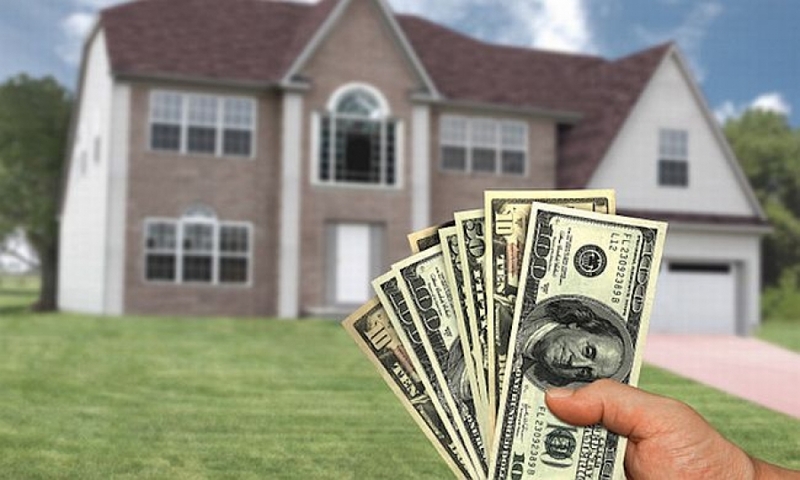 Over the years, I have been involved in questions dealing with the value of certain property. This has involved such diverse issues as appealing the County’s assessment for tax purposes, obtaining a refinance mortgage to avoid private mortgage insurance, and recently challenging an IRS valuation of property we just inherited. Is there a way to determine what our property is really worth. We have often obtained different appraisals on the same property, and would like to determine our true net worth. How do the appraisal prices work? Answer. The most commonly used method to determine the value of one’s property is to obtain an independent appraisal from an experienced appraiser. However, appraising market value of real estate is an art — and not a science. And at best, it is an inexact art. My own experience with appraisals and appraisers has led me to question the validity of a number of appraisals. All too often, however, the appraiser does not understand — or even know — the neighborhood, and brings to bear his or her subconscious prejudices while considering the value of your house. This is even worse now since lenders often have to rely on appraisers who are not even in the locality of the property. There are three methods used by appraisers. First, the cost approach. Under this method, the cost of reproducing the building is added to the value of the land, and a discount is applied for depreciation and deterioration that the buildings might have suffered. A second approach is known as the capitalization of income. Since this is generally used in considering income-producing property, and is complicated and controversial, this column will not enter into a discussion of this approach. The third formula is known as the market comparison. Here, the appraiser must consider the value of comparable properties, and once again, this is a highly subjective task. For example, your next door neighbor’s house recently sold for $410,000. Your house looks identical to your neighbor’s from the outside. But inside your house there are major differences. You have a finished basement; your neighbor does not. You have wall-to-wall carpets; your neighbor does not. You have recently installed a very modern kitchen; your neighbor’s kitchen is from the l940’s. Needless to say, unless the appraiser actually visits and inspects both houses, the comparable method may adversely affect you. Nevertheless, this market comparison method is widely utilized by appraisers in determining property values for mortgage lenders. 1. Insist on obtaining a written report from the appraiser. Obtain the appraiser’s name and address, and inquire as to the methods used to determine the value of your property. 2. If the appraisal was obtained by a mortgage lender, appeal that appraisal through that lender. Advise the lender you are dissatisfied with the value placed on the property, and that you will insist on a second appraisal being done, by an appraiser of your selection. 3. Although it may be considerably more expensive for you, it may be worth your effort to hire your own appraiser. While they have to give you an objective, independent market value determination, you certainly have the right to obtain your own evaluation as to the worth of your property. Several years ago, the United States Tax Court was called upon to determine — for estate tax purposes — the value of certain property located in New York city. The Court concluded that a 19 percent discount from market value should be applied to the property because the decedent owned a small percentage of the property and could not — by himself — exercise full control over the property. Furthermore, the Court discounted another 26 percent because of market conditions in New York in the late l980s. (Barudin v. Commissioner, T.C. Memo. 1996-395). Thus, each property is different, and you — and your appraiser — should be completely familiar with all of the factors to be considered when determining the market value of your property. Incidentally, there is a legal provision contained in the Equal Credit Opportunity Act of 1991 that should utilized by every mortgage borrower in this country. In Section 701(e) of the Act, Congress made it clear that every creditor “shall promptly furnish an applicant, upon written request by the applicant made within a reasonable period of time of the application, a copy of the appraisal report used in connection with the applicant’s application for a loan that is or would have been secured by a lien on residential property.” The law does permit the creditor to require the applicant to reimburse it for the cost of the appraisal. It is strongly recommended that everyone request and obtain a copy of the appraisal report from the mortgage lender. There are, of course, on-line websites that attempt to project — or perhaps predict is a better word — the value of your house. While all these are helpful, I would not rely solely on what you see on the internet.